Grow Cassia fistula seeds – How to grow Cassia fistula from seed? Is it difficult to grow Cassia fistula from seeds? When the season to sow? Is it recommended to grow Cassia fistula from seeds? How many years from seeds Cassia fistula bloom and bear fruits? 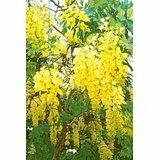 Grow Cassia fistula grows from seeds requirement: moist soil to wet, well drain-soil, light condition full sun. It’s not difficult to grow Cassia fistula from seeds. Season to sow Cassia fistula is the spring possible to sow in the summer but better in the spring. 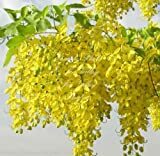 Recommended growing Cassia fistula from seeds, because grow easy from seeds and not needed to be grafted. Cassia fistula tree bloom and bear fruits start after 2-3 years.